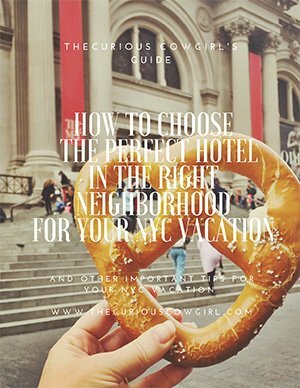 While many visitors to Paris make a priority to see two art museums: The Louvre and the Musee d’Orsay, and they are fabulous no doubt! 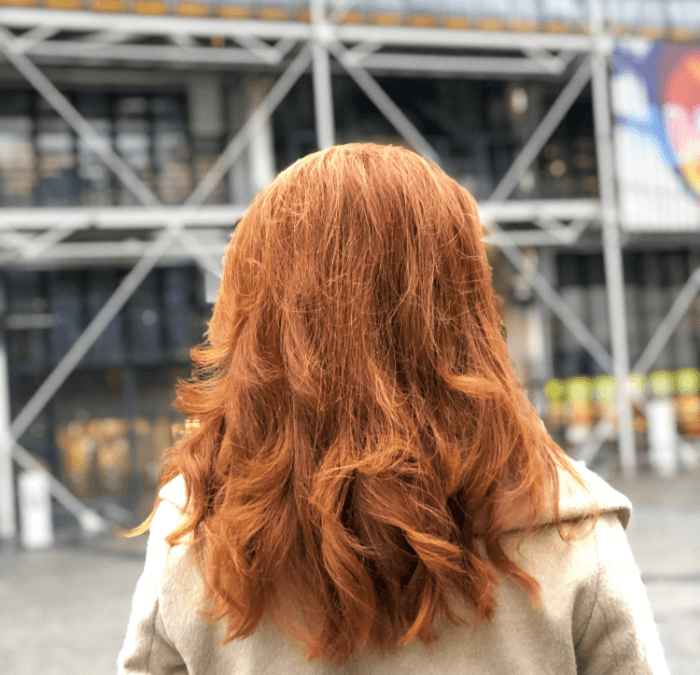 I highly recommend adding the Centre Pompidou to your must-see list! In 1969, President Georges Pompidou desired the construction of a multidisciplinary cultural center of an entirely new style. The center would need to include a library of public reading. 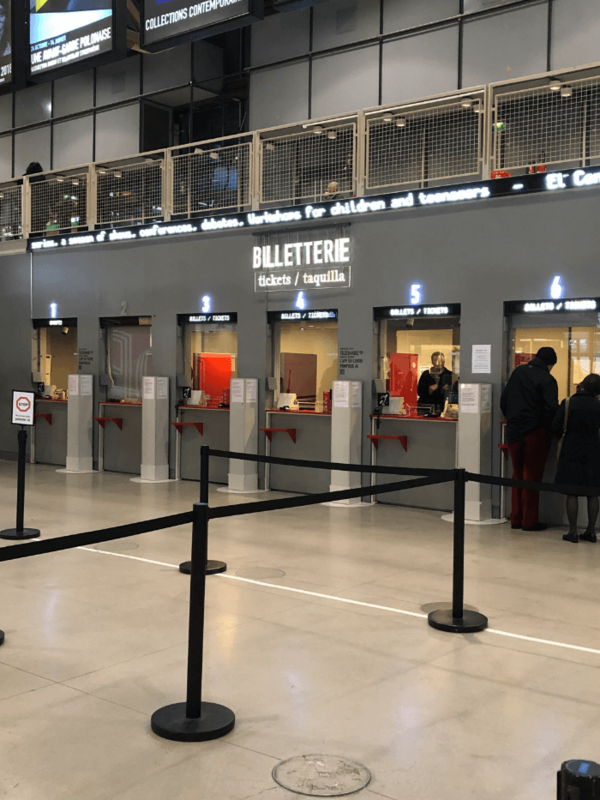 And new home for the National Museum of Modern Art (MNAM), the Center for Contemporary Art, and the exhibitions of contemporary art, which were usually held in the Musée des Arts Décoratifs. A competition was launched, inviting architects from all over the world, resulting in 681 competitors, coming from 49 different countries. 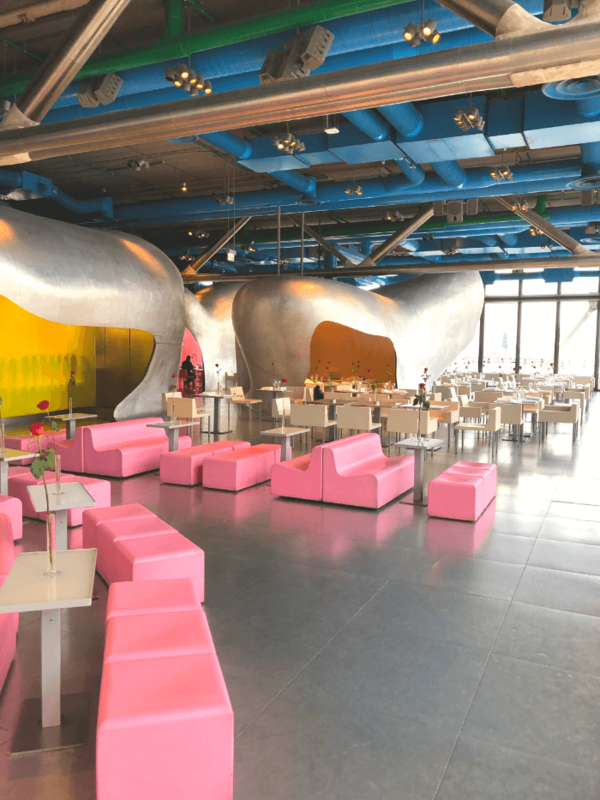 Today, the Centre Pompidou is considered one of the iconic buildings of the 20th century. However, its critics include comparisons to an “oil refinery ” and even a body with the organs and intestines on the outside, not hidden on the inside. 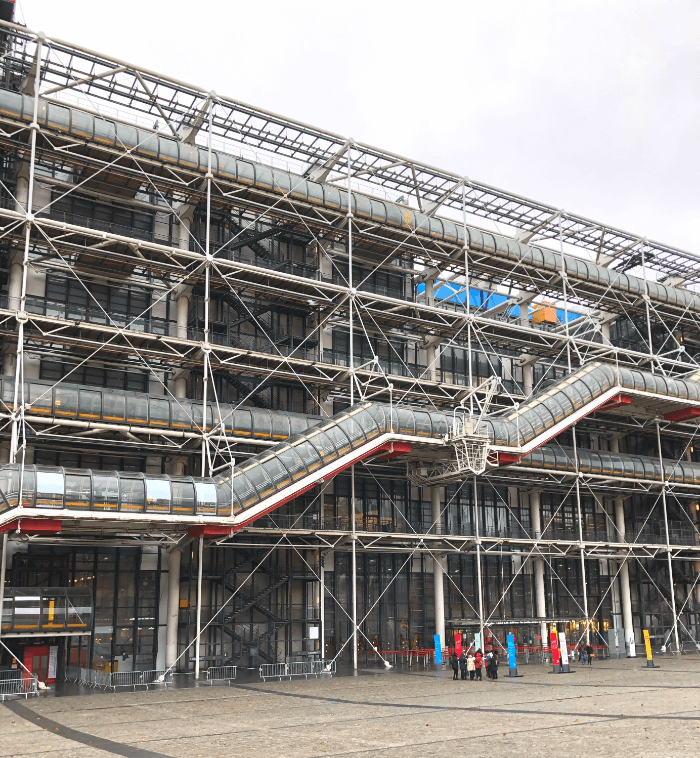 The Pompidou Center opened to the public on February 2, 1977, and it was a huge success. It quickly became one of the most visited cultural places in the world and one of the most visited monuments in France. Enter the Pompidou from the West side, by walking down the sloped hill to the entrance. 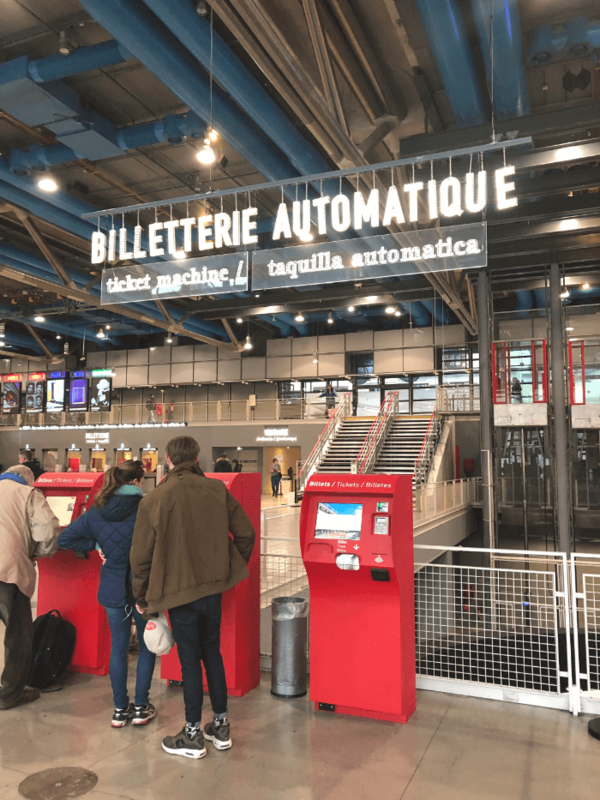 You can purchase tickets one of two ways…there are ticket kiosks directly inside the front doors. Alternatively, you can go to the traditional ticket windows in the back left corner of the hall. There’s also two gift shops on the ground floor that are awesome! 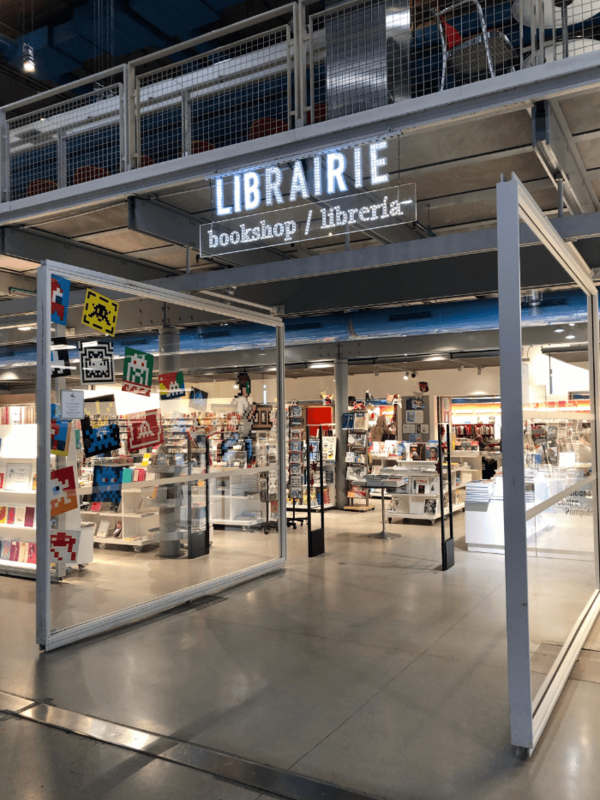 One is for books only, and the other has gift items that are cool and relate to much of the art inside the Pompidou. Take the escalator on the left up to the second level and get your ticket validated. As noted at the beginning of this post, the “insides” of this museum are on the outside. Excitingly, the escalators that take you to all the upper gallery floors are on the exterior of the building. Pretty cool views as you go higher up! 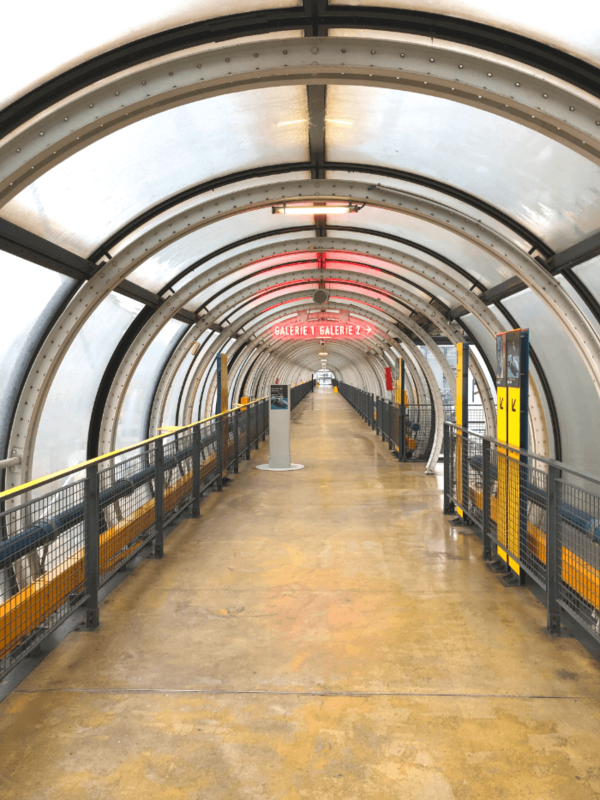 The Pompidou is open every day except Tuesdays…and the first Sunday of every month, admission is free. Typically tickets cost around $15 Euro per person. There’s several free guided tours every day. You can check on the exact schedule by clicking here. And, the Georges restaurant on the 6th Floor has a WONDERFUL roof-top view of the surrounding area in a swanky setting! We were there in the Winter, so dining was inside, but I am sure in warmer weather, the outside seating would be a fabulous place to enjoy a meal! What about the art….this is, after all a museum! Simply fabulous! 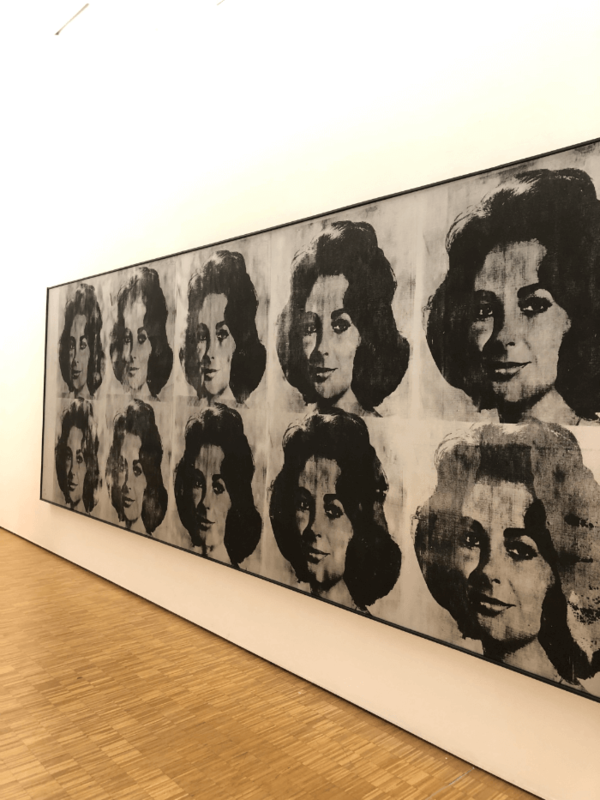 With more than 100,000 works, the collections of 20th and 21st century art at the Center Pompidou include visual arts, drawing, photography, new media, experimental cinema, architecture, design and industrial prospective. Want me to name-drop? OK. Henri Matisse, Georges Rouault, Georges Braque, Pablo Picasso, Sonia and Robert Delaunay, Fernand Léger, Kandinsky, Kupka, Andre Breton, Alberto Giacometti (did you see the film “Final Portrait” starring Geoffrey Rush and Armie Hammer…it was GREAT!!! ), Jean Dubuffet, to name just a few. 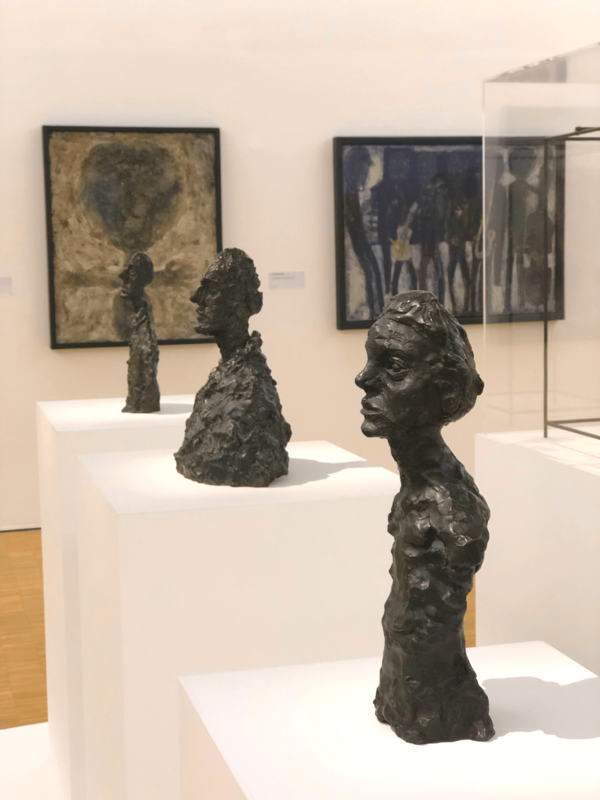 The permanent collection retraces the history of art in the first half of the 20th century. In addition to the permanent collections, there’s always special exhibits that are must-see opportunities. 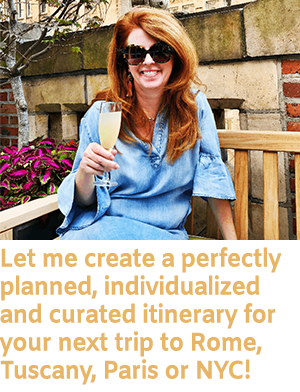 Check the web site to see what’s new….I guarantee there will be something well worth your time! I also love this part of Paris, and encourage you to explore the 7th more deeply. 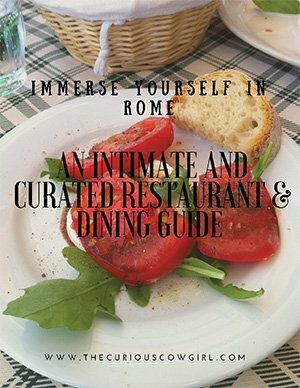 My restaurant guide has lots of suggestions for fabulous dining spots not far from the Pompidou, so be sure and check that out! 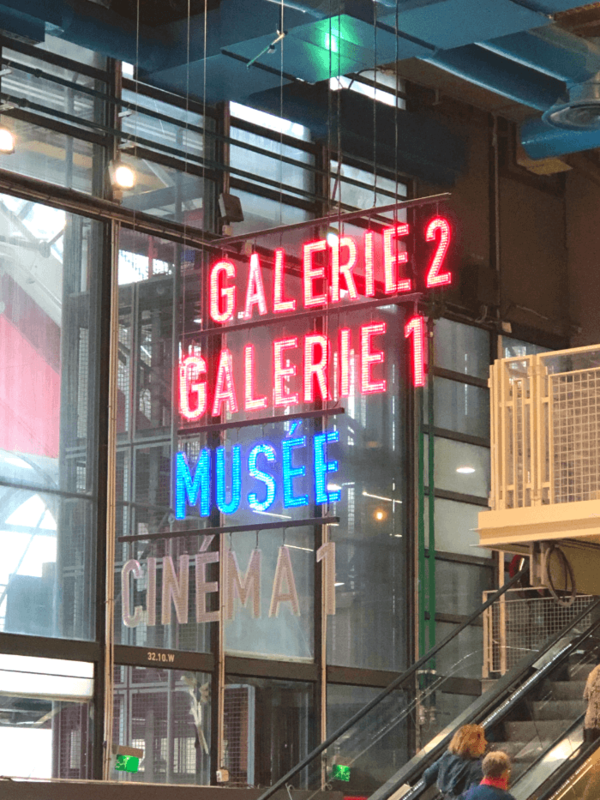 And, if you are looking for more suggestions for your time in Paris, check out this post about Paris’ Passages, a post about amazing Picasso exhibits in Paris, and a guide to the Rodin Museum!